Driving up the winding wooded path to Flint Creek Country Estate is like stepping through time. As you make the final approach, a stately mansion greets you on the horizon, with ancient trees lining the yard and a peaceful quiet that can only be found far away from the hustle and bustle of city life. A rainy, dreary day could not overshadow the excitement of our couple, Kayla and Brian. 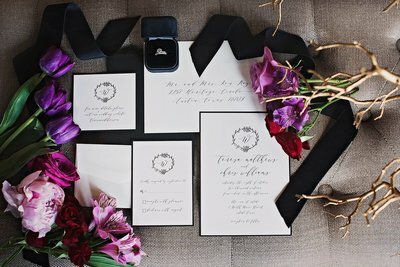 Despite the lack of blue skies and sunshine, their love lit up the entire venue with warmth and happiness. The theme of the day perfectly matched our surroundings, and the interior resembled a 1920’s dinner party. Chandeliers dripping with crystals cast a glow throughout the space, the light catching every sparkle of the gold, burgundy, and black decorations. Being December, elements of Christmas cheer could be seen intertwined in the elegant motifs. 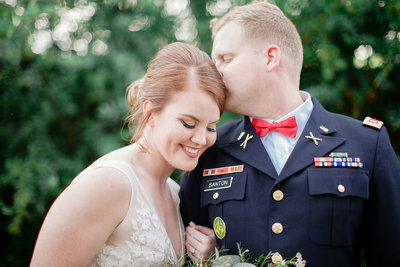 As Kayla finalized her hair and makeup, she spoke of their love story, their dedication to God, and their promise to remain pure until married. These two are truly a partnership crafted in the vision of Christian ideals. From the grande staircase, our bride emerged in a sleek white gown adorned with chocolate colored jewels, enveloped in the glow of a massive chandelier. 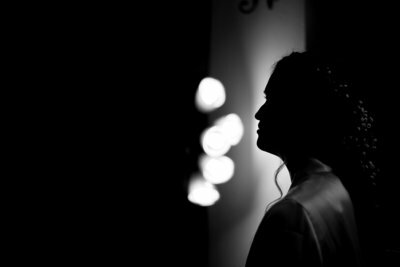 At the foot of the stairs, her groom waited in eager anticipation for the first look. From here we toured the estate grounds, capturing the essence of the evening and marveling in the little details that make Flint Creek so special. The upstairs landing has a beautiful view of the grande ballroom below, where the fire was burning and dinner was being served. We paused for a moment in the working antique elevator, then moved on to the formal living room where our couple took a short break and lounged on the burgundy settee near the second massive fireplace. 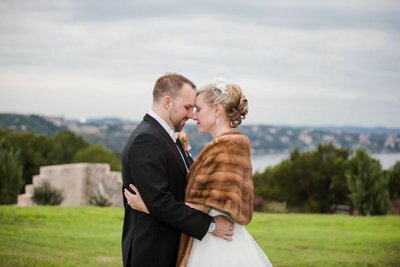 Despite the chill in the air, Kayla and Brian braved the cold and rain for some romantic portraits outside on the terrace. Between sets Brian would place his coat on Kayla’s shoulders and hold her close to keep her warm, and she would reach up to adjust his boutonniere or fix his hair. As the sun set for the evening, the rain fell harder, creating a glistening wonderland around the outdoor altar. The music from inside the mansion drifted through the air, creating a romantic finale to our day. From all of us at Bliss Wedding Foundry and La Vie Est Belle Photography, we wish Kayla and Brian all the very best in the years to come. 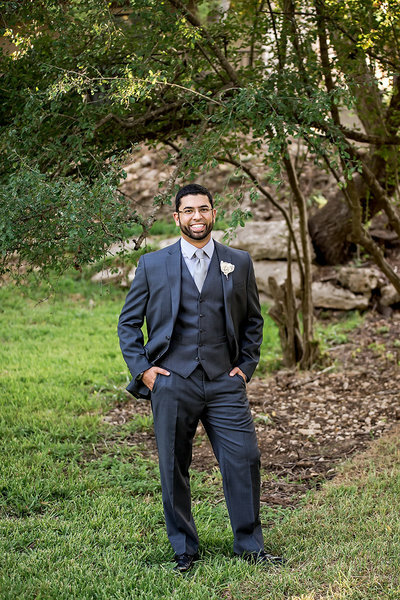 Bliss Wedding Foundry is a collaboration of top rated wedding and event professionals in Central Texas.